Scobie McIntosh is a manufacturer of architectural metalwork in wrought iron, stainless steel and mild steel. Their website is filled with images of their unique metal work. Don't miss the gallery pages. 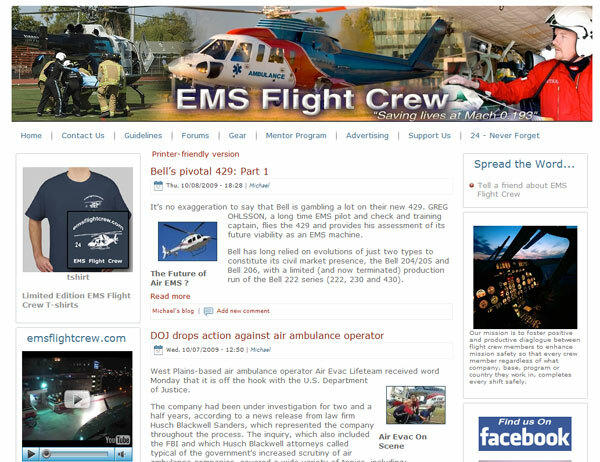 EMS Flightcrew Website LaunchedWe have launched a website for EMS Flight Crew of San Antonio, Texas. This site is a social networking hub for emergency medical flight crews around the world. We designed this Drupal theme to have a "Facebook" feel. Doctors in the SunWe recently launched the www.doctorsinthesun.com.au website. Designed and developed by us for our clients this is a custom Drupal theme representing the sunny climes of Australia as an advertising front end site for a medical recruitment company. The client will be progressively adding his own data over time. We launched the redesigned Alzcare website today. We launched the redesigned Woodland Baptist Church today.